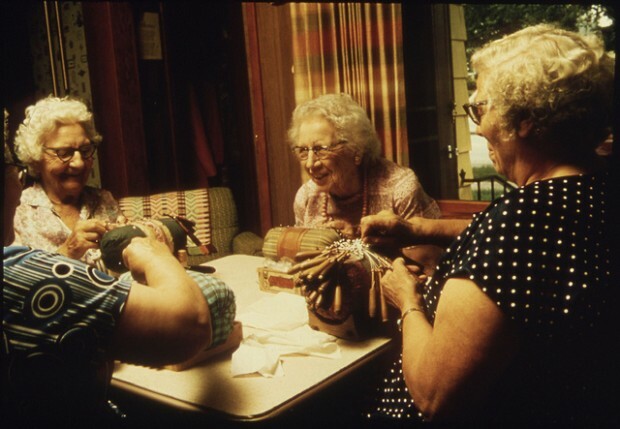 From building furniture to sewing quilts, crafting is a pursuit as old as time. 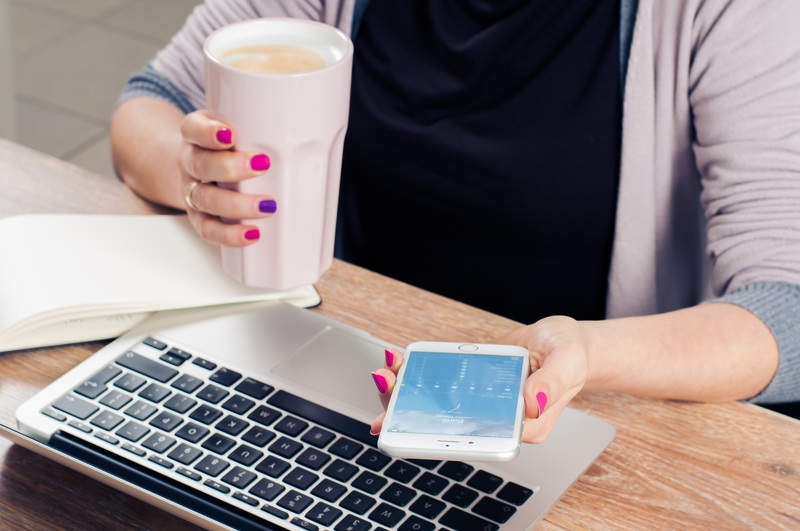 And while making our own everyday items is much less necessary than it once was, crafting still remains a popular hobby — and, in many cases, a full-time job — though it looks quite a bit different than it did in the days of quilting bees. 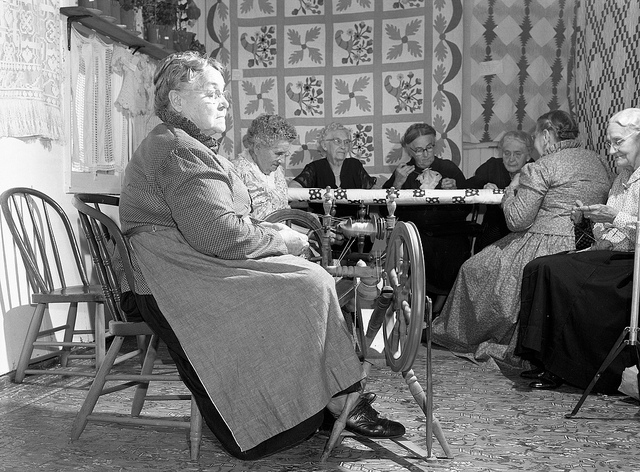 For today’s Throwback Thursday gallery, we’re digging through the archives to look at vintage photos of the olden days of crafting, from sewing for the war effort to doll-making in a generations-old style. 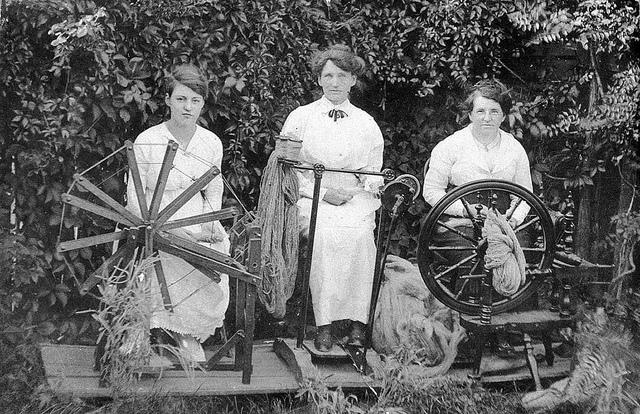 The wool that was spun was then knit into socks by girls like the ones in this photo, also from the State Library of New South Wales. This photo is dated between 1914 and 1918. 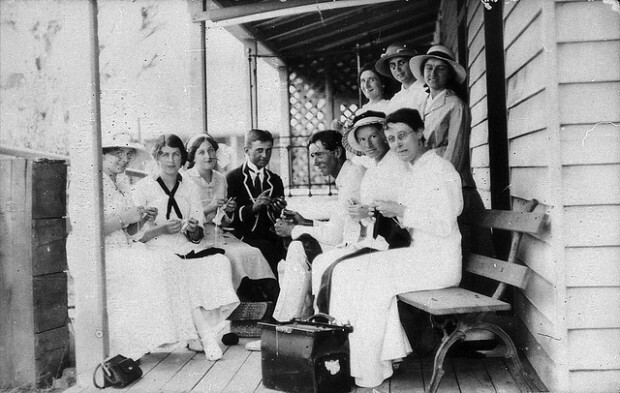 Here’s some more sock knitting from the State Library of New South Wales. This photo features Pilliga Red Cross members, circa 1915. The photographer is unknown. Floral design is another legacy craft. 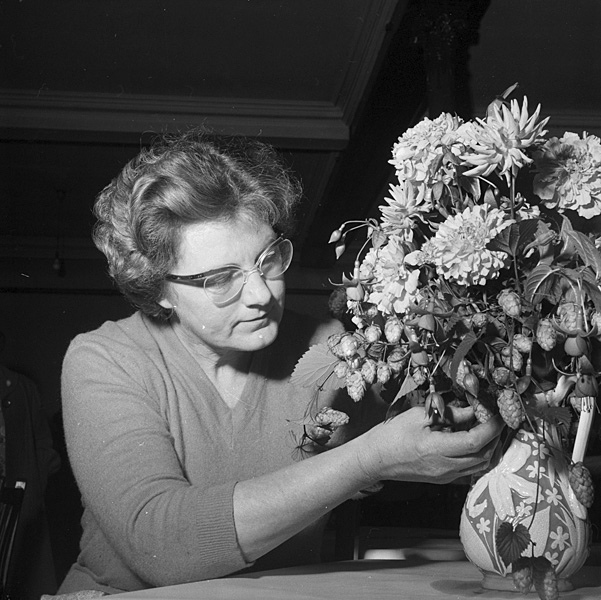 This photo is from The Caernarfonshire Federation of Women’s Institutes flower arranging competition in 1959. The photographer is Geoff Charles (1909-2002). Image via the National Library of Wales. 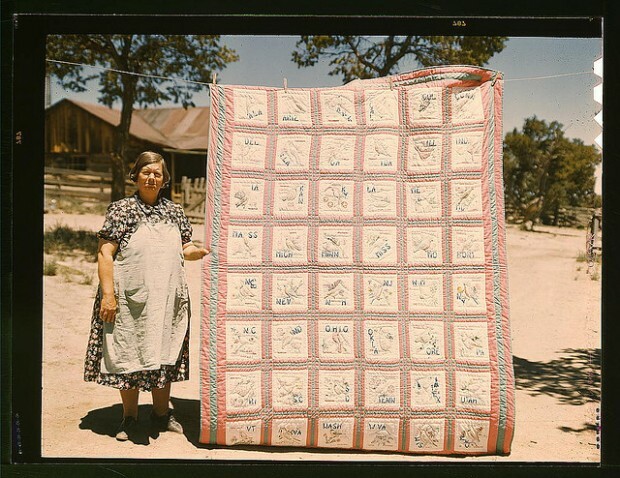 “A group of women quilting for Maifest in Hermann,” writes the Missouri State Archives about this 1953 photo. Crafting was often a way to feel connected to the home countries of U.S. emigrants. The caption for this photo, from the U.S. National Archives, “Older citizens, retired persons and those unable to care for themselves physically are cared for in two community centers. 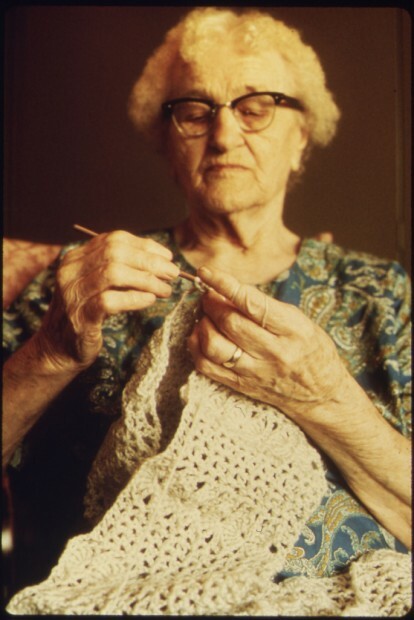 This woman lives at the Highland Manor Retirement Home, keeping busy with “Old Country” crafts. New Ulm is a county seat trading center of 13,000 in a farming area of South Central Minnesota. The caption is the description, which most likely came from the photographer, Flip Schulke (1930-2008). 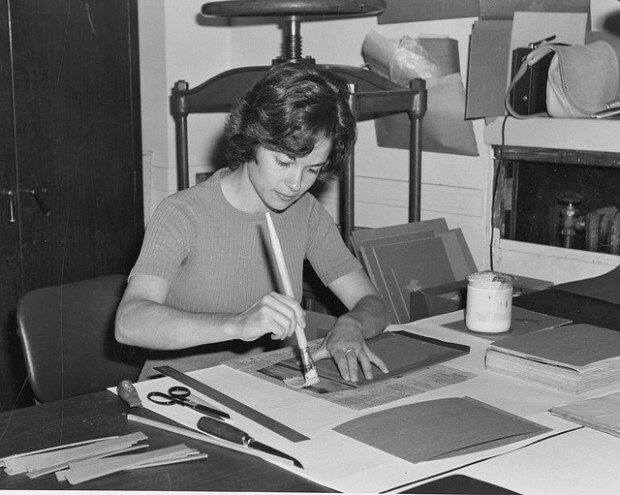 This photo features “Sharon Conway bookbinding in Document Preservation, early 1970s,” according to the National Archives. 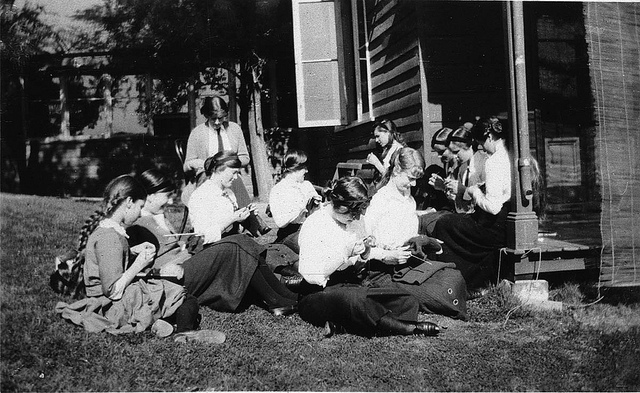 “Alice McCarter, weaving a baby blanket at the Pi Beta Phi School, Gatlinburg, Tennessee. 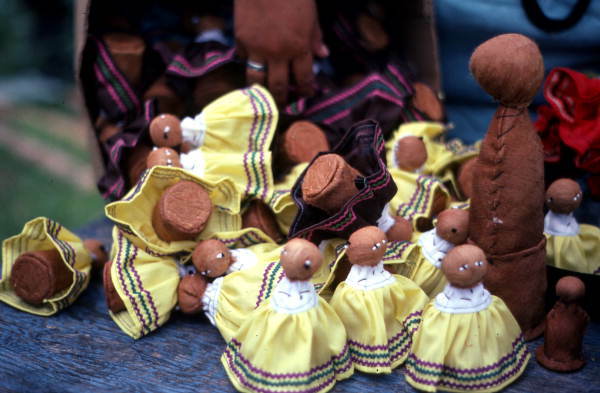 This particular material is very fine weave. 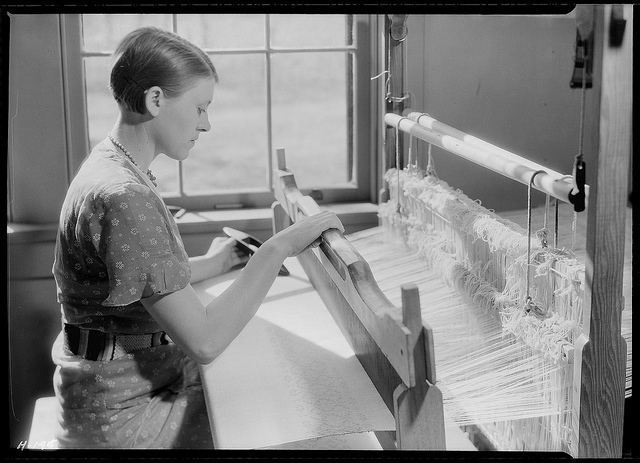 She learned weaving at this school and is now unusually skillful in the craft, November 1933,” wrote photographer Lewis Hine about this photo, via the National Archives.